Swivel Seat For Those With Arthritis, Leg or Back Pain. 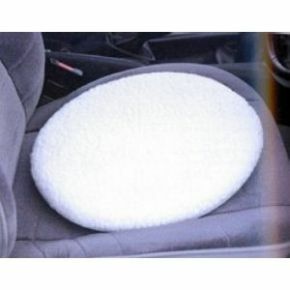 This cushioned swivel seat glides you in and out of cars smoothly without struggling. Placed on any seat it will swivel in both directions and is ideal for those who suffer from arthritis, leg or back pain. Comes complete with removable washable fleecy cover. Thankyou, this product is a must if you have difficulty getting in and out of cars. My mother has just had her second knee replacement op. If only we'd found your site 2yrs ago, she wouldn't of went through so much pain. Many thanks for giving my mother a better and more independant life back. Rapid delivery. Seat swivels well. Wouldn't fancy a long car journey sitting on the swivel seat. Just had a major spinal op so ideal for me.